Mountains have been in the news lately. The new action and adventure film "Everest" has hit the big screen. 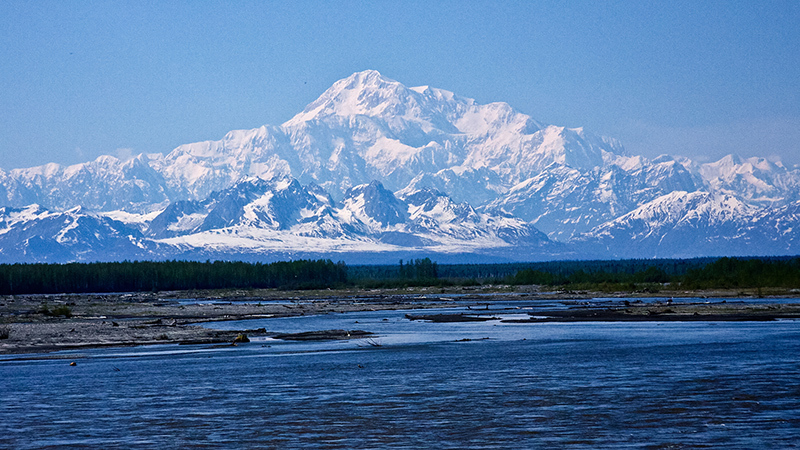 President Obama set off a controversy over renaming Mount McKinley back to Mount Denali. Several recent "lost in the mountains" disappearances have captured people's imaginations. Some people lost in the mountains have survived while others perished. We continue our series using the imagery of mountains to remind us that some things about our faith are important enough to die to accomplish or defend. Know the doctrinal and missional mountains for which we will die. Partner with others who share our mountain commitments. Focus on our mountains refusing to make mountains out of molehills. We have to know our main things, find leaders to partner with us in the main thing, and make the main things our main thing! As churches, we tend to fuss and fight over so many things, how do we know what are our main things? Great question! Let's ask that question of the New Testament and see what we find? "The most important one," answered Jesus, "is this: 'Hear, O Israel: The Lord our God, the Lord is one. Love the Lord your God with all your heart and with all your soul and with all your mind and with all your strength.' The second is this: 'Love your neighbor as yourself.' There is no commandment greater than these" (Mark 12:28-31). For what I received I passed on to you as of first importance: that Christ died for our sins according to the Scriptures, that he was buried, that he was raised on the third day according to the Scriptures, and that he appeared to Cephas, and then to the Twelve. After that, he appeared to more than five hundred of the brothers and sisters at the same time, most of whom are still living, though some have fallen asleep. Then he appeared to James, then to all the apostles, and last of all he appeared to me also... (1 Corinthians 15:1-8). It is the gospel message he had originally "preached to" them. The Corinthians "received" this message as authoritative and true. These new Corinthian believers had built their lives and taken their "stand" upon this message. Faith in this message was the way Corinthians "are saved" if they "hold firmly" to it. Paul had "received" this message as authoritative. Paul "had passed on" this message to the Corinthians emphasizing that it was "of first importance"! Second, Paul emphasized that this message was rooted in the identity of Jesus as the Messiah (Christ). This message was rooted in the promises of the (Old Testament) Scriptures. This message was a reminder that what Christ did and what the Scriptures promised, was for our good in overcoming sin. Jesus appeared alive to many after his death. Paul is reminding us that what is important is rooted in Jesus' identity as defined by the Scriptures and found in four distinct events — as opposed to theories, philosophies, or even teachings. These four events are his death, burial, resurrection and appearing. I am astonished that you are so quickly deserting the one who called you to live in the grace of Christ and are turning to a different gospel — which is really no gospel at all. Evidently some people are throwing you into confusion and are trying to pervert the gospel of Christ. But even if we or an angel from heaven should preach a gospel other than the one we preached to you, let them be under God's curse! As we have already said, so now I say again: If anybody is preaching to you a gospel other than what you accepted, let them be under God's curse! Am I now trying to win the approval of human beings, or of God? Or am I trying to please people? If I were still trying to please people, I would not be a servant of Christ (Galatians 1:6-10; Colossians 2:16-23). Those are strong words of warning to anyone who would add to what Paul emphasizes is the core truth for our salvation. So when we fuss and fight, when we divide over things that don't pertain to the COR4 and their connection to Jesus' identity as promised and taught in Scripture, we are in dangerous territory. We are likely fighting over mountains not worth the battle and spiritual casualties. The identity of Jesus as the Christ, his promised mission defined in the Scriptures, and the COR4 become our hills of significance. Baptism, which is our faith participation in what Paul says is COR4, clearly becomes important. (Notice how Paul spoke about baptism not as symbol, but as participation in the death, burial, resurrection, and appearing of Christ Jesus (Romans 6:3-14; Colossians 2:12; Colossians 3:1-4). Other things, such as the Lord's Supper, where we both remember and proclaim this core gospel (1 Corinthians 11:23-27) as well as participate in and become the body of Christ with those whom we share the supper (1 Corinthians 10:16-17). Also important is living under grace by leaving the slavery of sin and death by the power of the Holy Spirit that raised Jesus who was raised from the dead are also crucial and vitally connected doctrines to what is COR4 (Romans 6:3-14; Romans 8; Colossians 2:12-23; Colossians 3:1-17; Ephesians 1:17-23). Paul's message to the Corinthians is our magnetic North Pole. We have a clear force that pulls us together toward what is most important. Paul helps us define what our mountains should be! Which then brings us to Jesus' two love commands. Jesus was clear that he lived to please his Father and accomplish his work (John 3:16-17; John 4:34; John 5:18-20; John 19:20). In fact, Jesus challenged his first followers (and us) to continue his work by saying, "As the Father has sent me, so I'm sending you" (John 20:21). We are Jesus' incarnation in the world today. We have been sent to accomplish his mission in the world empowered by the Spirit (John 20:22-23). One important way Jesus is to continue to appear in the world as the resurrected Savior is through us, his people. This occurs as we display both in word and deed our love for the Father and our love for our neighbors as Jesus did when he was physically present! When he was gone, Jesus said, "Now the Son of Man is glorified and God is glorified in him. If God is glorified in him, God will glorify the Son in himself, and will glorify him at once. "A new command I give you: Love one another. As I have loved you, so you must love one another. By this everyone will know that you are my disciples, if you love one another" (John 13:31-35). Paul's message to the Corinthians is our magnetic North Pole. Jesus has sent us on mission to share this love with our world. To do this, we must live together in loving harmony so that the world will believe (John 17:20-21). We go to others as Jesus came to us. We go with our message centered in the identity of Jesus as the Christ of God. We go with the simple COR4 message of salvation and not our preferences or our politics. Our mission arises out of our love for God and for our lost neighbors. 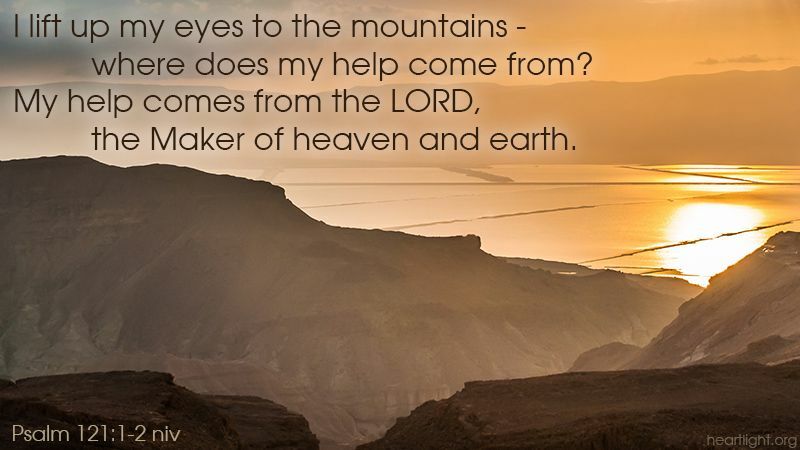 Knowing these two important mountain top passages helps us know our mission more fully. They help us see the message we are to share and the kind of loving people we are to be. Unfortunately, many have experienced something very different from living out of these key passages of doctrinal and missional truth. Because we have not identified our most important mountains or because we have refused to live based upon them, we have slain each other on hills of lesser significance and have lost our sense of mission in the world. We have become known for our differences and not our love. We have become known for what we are against rather than who we are for. 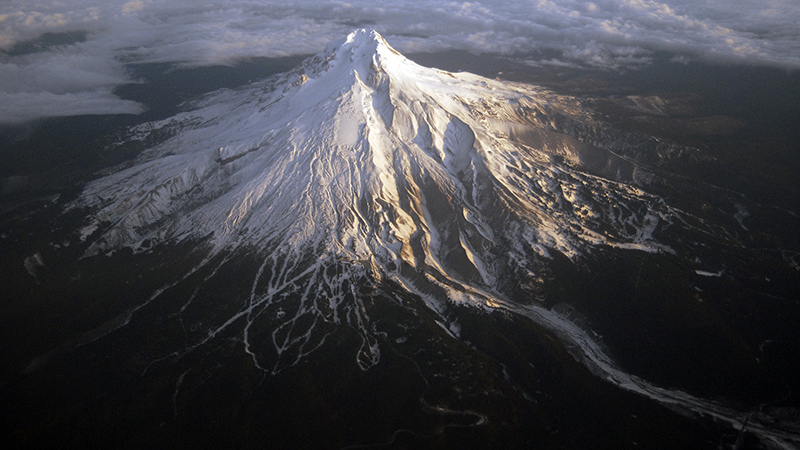 We have forgotten the mountains worthy of our effort and have slipped into denominational and group preservation. So we come back at the end of this post to where we began. If our churches, and if we as church leaders, don't know the mountains on which we are willing to die and then go and focus on those mountains, we are going to give up our lives, bit-by-bit, for things that don't matter. We will end up sacrificing the mountains of God's glory for the hills of insignificance and for the molehills of personal preference. By God's grace and with the help of the Holy Spirit, let's make sure we know which mountains are worth the passion, effort, and sacrifice and which ones are not. Some mountains matter more! Next week, we will look at how Paul applied these principles to maturing the church in Asia Minor. The mountains overlooking the Dead Sea. Mount Denali, formerly known as Mount McKinley in Alaska. 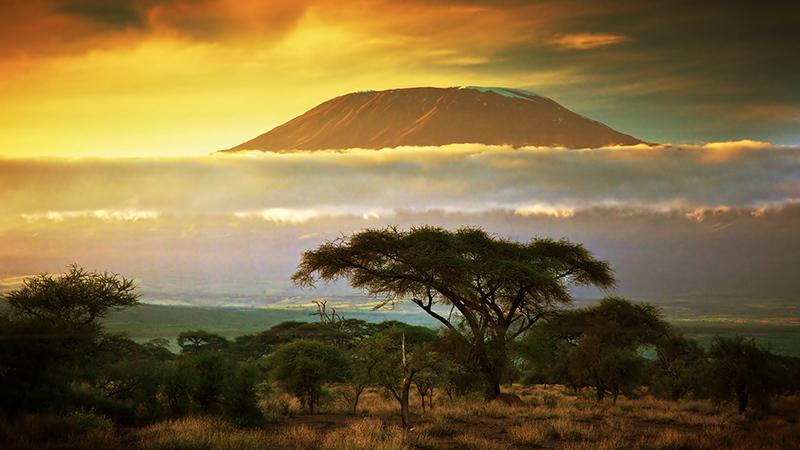 "Some Mountains Matter More" by Phil Ware is licensed under a Creative Commons License. Heartlight encourages you to share this material with others in church bulletins, personal emails, and other non-commercial uses. Please see our Usage Guidelines for more information.